← Nevskij might just strip fitter on the opening day of the Point to Point season. Queally gets the season underway as track experience benefits 4 of the 6 winners at Westmeath. 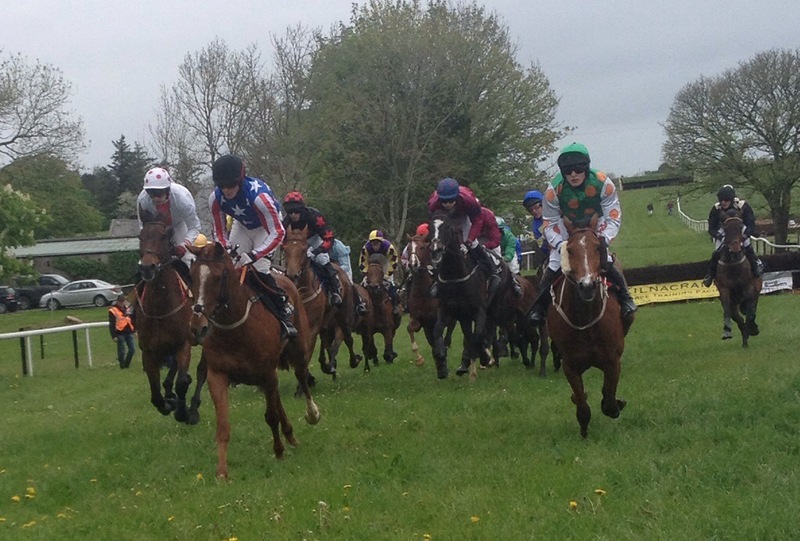 All the point to pointing fraternity got their 2014/15 season underway at the Westmeath Foxhound meeting in Castletown Geoghegan. With the ground quick enough it was left to Co Waterford based jockey Declan Queally to get the ball rolling in the opening 4 year old Maiden when winning on Jack Steel. With a promising run behind him in April at Lisronagh for Martin and Deirdre Hassett , Queally made that experience tell to win from the front. The 4 old year son of Garryrichard , Co Wexford based stallion Craigsteel looks a likely track contender before very long. A notable statistic from the first days racing is the fact that 4 of the 6 winners on the afternoon had previously raced on the track, some even as recently as August 2014. Only Jack Steel and Out of the Way hadn’t been tried inside the rails in the past with Ballinhassig jockey Don Atkinson taking the Winners of Two on that 10 year old son of Exit To Nowhere. Atkinson is most likely the most senior amateur still competing in point to points and he joined forces with South Union based Adrian Hickey to win. In a family affair the winning horse races in the colours of Atkinsons brother Graham and his sister in law Lucy. Its a fine start to the season for the 52 year old Co Cork man, who can justifiably say that he now jointly leads the 2014/15 National Jockeys championship! That also includes Queally, Derek O’Connor, Eoin O’Sullivan, Aaron Murphy and Nile O’Rourke who also had winners today. O’Connor started his quest to regain the jockeys title he lost to an inspired season from Jamie Codd, with a win on Show Me The Monkey. This Old Vic 5 year old mare might well revert to the track for the Co Limerick based Hourigan family. In this seasons novice riders title Eoin O’Sullivan could well make an impact and he chalked up his first winner of the new season when winning on his father, Eugene’s horse Gowanauthat. This 6 year old Golan gelding ran last over hurdles for the Co Cork based owner /trainer. With the Open Lightweight going to another ex track performer in the shape of Dot Love’s Loughnagall for Ciaran and Aaron Murphy the early season indications are that horses with some track form and experience are worth following. With the sixth winner of the day, Serious Times, for Peter Maher and Nile O’Rourke last seen on the track in Tipperary this year , his first run since having raced on the flat in 2009 only proving that point. With the first day out of the way its off to Loughrea and Tinahely next weekend, all going well!!! One Response to Queally gets the season underway as track experience benefits 4 of the 6 winners at Westmeath. You were an impressive first out of the blocks with this p2p thread-well done. This looked a poor start of the year to me and, whilst admittedly, my interest only tends to be in the younger 4 & 5yo’s, the quality on show looked very average. I think in terms of the elusive “potential” little can be usefully written about the Westmeath experience? The 4yo maiden has been a guide in the past-especially Ceasar Milan, Trustan Times and Definite Knockoff-but the 5&6yo maiden is usually crap. We are all looking for a little edge – wherever it might emanate from – so getting some info on the winners from Hassett or O’Sullivan would be a very useful piece of reporting. Keep up the good work and I’ll be keeping an eye on you! PS throwing around comments like a “likely track contender” (Jack Steel-came out of a poor enough maiden last time and a fairly average pedigree) is very fashionable nowadays but your discerning readers would like more meat on the bones. not a criticism just an observation. The Open Lightweights are in for an Aristocratic boost. Will you get out of bed for this? Its just a numbers game! Its a Steel at 30.